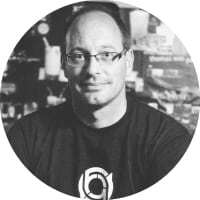 Sam has 15+ years of experience in web & software development, e-learning and the online games industry, the majority of which were in a team and/or project management position. He is currently very focused on immersive technologies and the benefits to learners and business through impact, engagement and utilisation across a wide set of verticals. HOW DID YOU GET TO BECOME AN EXPERT IN VIRTUAL REALITY? Firstly, I always argue that there are no experts in VR yet, since although the technology and concepts have been around for decades, there are few people around who have been involved since the beginning and with constant advances in VR technologies, we have to be constantly learning, adapting and advancing our understandings. However I’ve been interested in VR since the 90’s when I tried out the Virtuality devices at the Trocadero Centre, London, UK. Whilst clunky with rudimentary 3D graphics at the time, it was clearly an exciting technology to me that I knew I wanted to work with one day. Getting to experience a 3D cave during my Multimedia Computing degree course (the 1st of its kind in the UK) I again saw the possibilities of virtual environments and reaffirmed my desire to work with immersive technologies. When the Oculus Rift kickstarter campaign was launched, we got two DK1 VR HMDs at work and I was able to convince the company to allow me to go on a discovery journey to understand how this new low-cost option could be used for training, learning and development applications beyond consumer gaming. Ever since 2012 I have been able to consume, trial and test a huge variety of immersive technology devices, giving me a wide understanding of the current and future platforms, what’s possible now and in the short and long term. WHAT AREAS OF VIRTUAL REALITY ARE YOU MOST PASSIONATE ABOUT? From a technical standpoint, I am most passionate about the near future headsets that are untethered with inside-out tracking to enable greater freedom of movement and ease-of-use. From a development angle, I am keen to push and promote the current opportunity to ensure that the fledgling VR community is accessible to all, through equality and diversity across developers and enthusiasts to ensure that VR content is created by and caters for the widest range of users and bucks the technology industry norms. Finally from a content perspective, I am most interested in experiences that utilise the power and benefits of VR for impact and good, eliciting change and empathy rather than just focusing on shooter-based games like many other platforms do. WHICH VIRTUAL REALITY INFLUENCERS INFLUENCE YOU? I am most interested in those who focus on growing the VR community across an equal and diverse collection of people, no matter what their level of interest, technical capability or backgrounds. Two key champions in this area are Eva Hoerth pushing jams and inclusion, Liv Erickson building social communities and then for a business perspective, Sammy Kingston building a VR, PR and marketing agency and supporting VR developers of all sizes. Jenson Button for his undying drive to be number one even when presented with less than stellar tools and circumstances. Michael Marshall Smith for his darkly comic sideways look at post-cyberpunk novel writing. Nigella Lawson for making anything sound utterly filthy, in terms of richness of taste, with the simplest of ingredients. Mhairi Black for having the most honest, open and sensible approach to politics today. WHICH BRANDS OR PRODUCTS STAND OUT FOR YOU IN VIRTUAL REALITY? Back in 2014 there was an explosion of new VR-orientated companies, covering a range of areas from hardware accessories, input, content stores and more development orientated tools. Many of these no longer exist in 2017 or have been swallowed up by the larger companies such as Apple and Google investing and merging them into their own ecosystems. Besides the obvious ones like Oculus, HTC, Samsung, Google etc, I always appreciate the VR hygiene accessory company VR Cover, who provide easy to clean replaceable VR HMD face foam covers. I’m always happy to partake in podcasts, interviews or provide quotes for articles etc (as seen in this very long list of just those that I have participated in since 2014: http://bit.ly/vrsamVR) or provide consultancy related to educating and enlightening brands and corporations about what VR is and how it can be used effectively and meet specific business needs (if determined suitable). We can also run discovery, design and development projects to create bespoke and scalable products utilising immersive technologies for greater measurable impact. The best way to get hold of me is through the Make Real company website or follow me on Twitter and have a dialogue with me there.